This is the fourth version of our popular 2315 Overspill Kit! 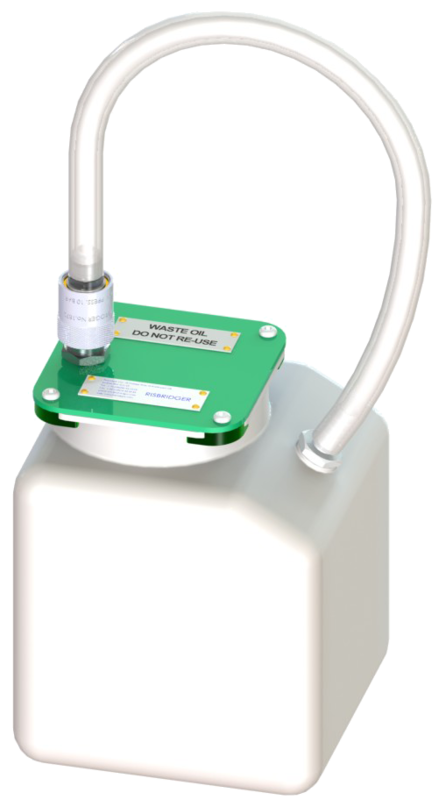 When connected to aircraft bulkhead half coupling, the container is automatically vented to allow free drainage of engine oil into the bottle. Connect the hose end coupling to the male stowage nose on the bottle to allow the hose contents to drain cleanly into the container and protect the coupling. The stowed hose acts as a carrying handle! The overspill collection kit is a leakproof, non-spill assembly which contributes to safety, cleanliness and reduction of fire risk and environmental pollution. Previous models are 2315, 2315MK2 and 2315MK3. Features Stock Code 1872 overfill coupling (OMP2505-3 compatible), *24″ clear plastic hose assembly and a heavy duty 5 litre container for waste oil. Spares available! *Also available with either a 48″ (2315MK4/48IN) or 72″ (2315MK4/72IN) clear plastic hose.